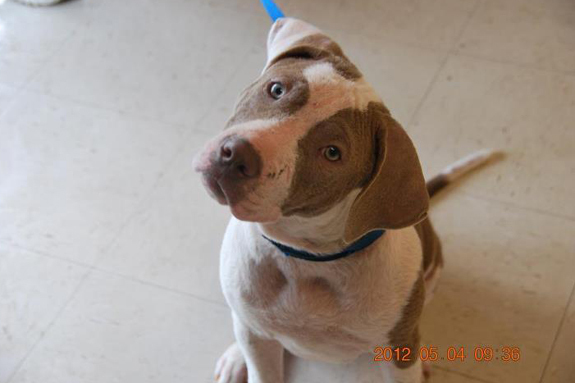 Adele is a sweet, beautiful young pup looking for a home to share her love and all her tomorrows. 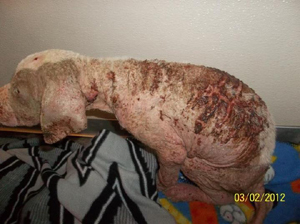 When she entered Bay County Animal Control in Panama City, Florida she had the worst case of demodex mange they had ever seen. She is still alive thanks to Tracy, the ACO, and Rebecca, who brought her to her foster home. 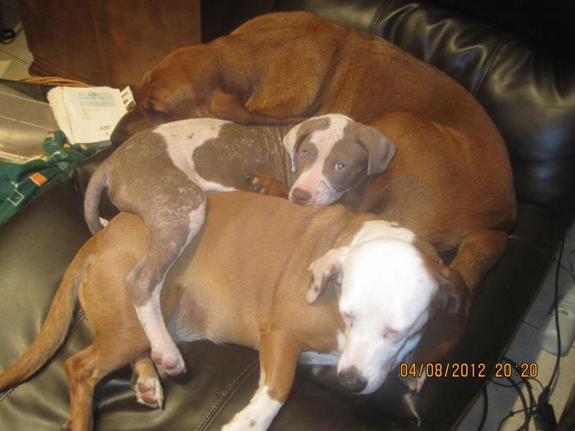 Sue (one of their foster homes that specializes in these pups) took her in. 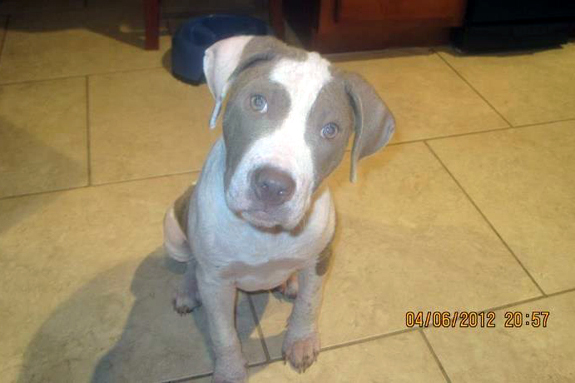 When Adele’s tail started wagging despite her pain, Sue knew there was hope for this puppy. She gets along well with the other dogs in her foster home, and knows “sit” and “easy.” She is working on stay and leash manners. 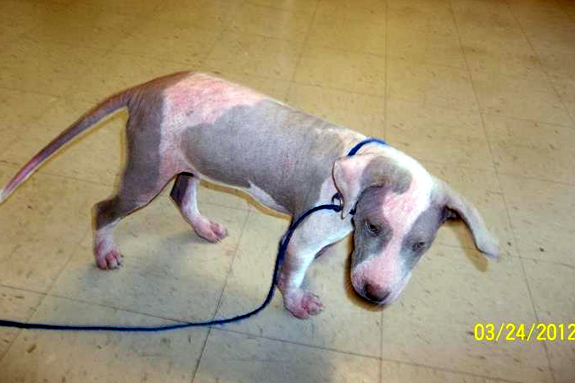 You can keep track of Adele and other mange puppies from BCAC on Adele’s Facebook page. And, you can call Bay County Animal Control at 850-767-3333 to adopt her. There is an also an offer of air transport for Adele to her forever home. The BCAC adopt a pet site is here, but animals in foster care may not be listed there. BCAC is located in Panama City, Florida. Poor poor thing! 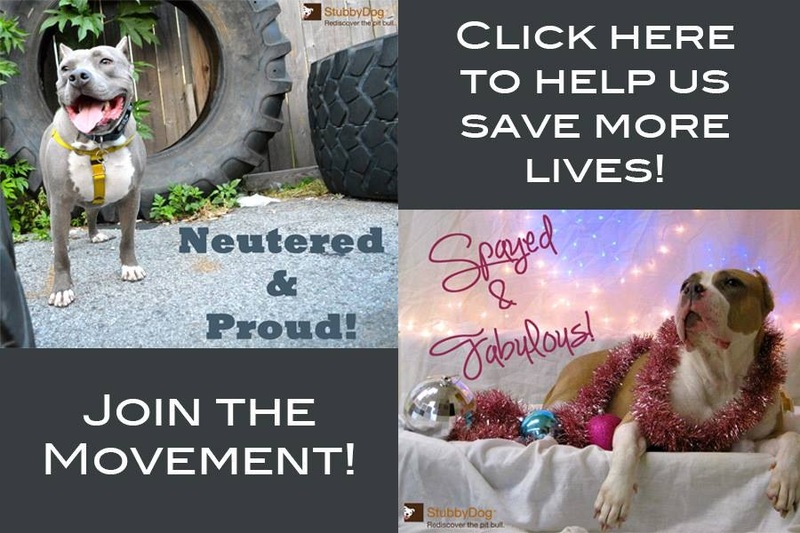 I recognize that horrid mange anywhere having nursed a foster dog through it myself. Everyday they heal a little more, and they are so thankful for you making them feel better… no love like that of a dog. @mac_naughton Doesn’t she look so much better though? She’s such a cutie.